Highly experienced and fully qualified operators. Wide range of lifting equipment. R S French have a wide range of remote control lorry mounted cranes that are available for hire for almost every scenario. 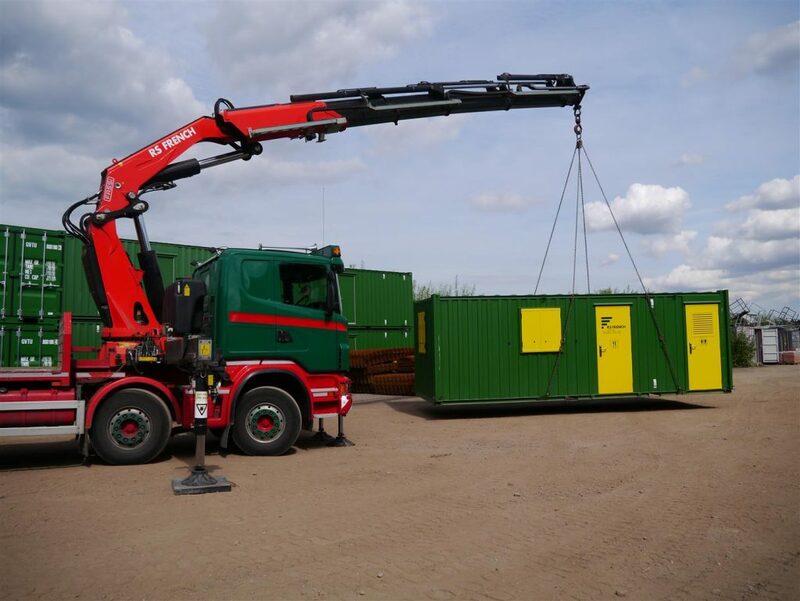 With vehicles ranging from 3.5 tonne to 44 tonne drawbar combinations we are able to transport a vast range of items from basic containers and portable buildings to topiary elephants! If we can lift it we can transport it! Our highly skilled operative all hold CPCS cards and are health and safety qualified, for the most demanding of site requirements. From the office we use the latest tracking software, enabling us to trace the exact location of our Lorries and more importantly your load. This enables us a safer and faster method of communication, which in turn enables us to give the customer a level of service they deserve. We understand the importance of providing the right vehicle for the right application, keeping costs to a minimum.